"A melodramatic and tragic love story..."
THE DYING OF THE LIGHT engrossed me from the very first page. I love reading books set in the American south, especially books that have romance, tragedy, and of course, a wonderful gothic feeling. 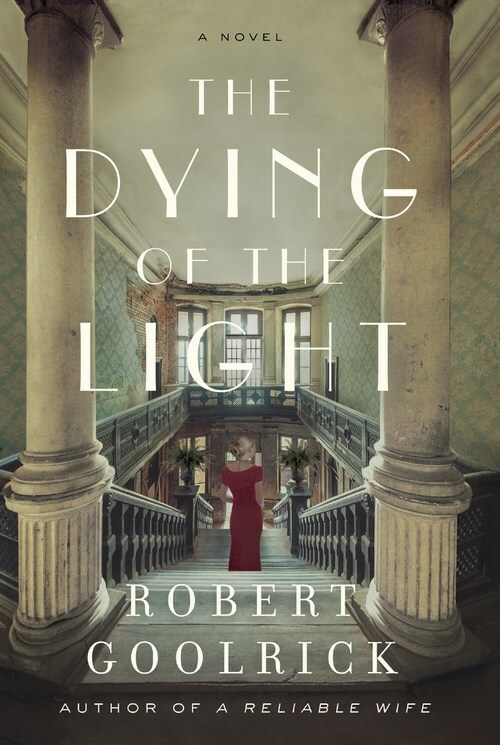 For those of you who love books set at the beginning of the 20th century, passionate love stories, and melodrama, THE DYING OF THE LIGHT is a perfect book to read. I loved Robert Goolrick's writing style; he makes the story come alive. I especially loved the beginning of the book when we are introduced to the wild Diana, whose beauty and fate becomes legendary. I loved reading about Diana's childhood and how she is taught to ensnare a rich man. The ending was a surprise that I quite liked. Now I can't wait to read Robert Goolrick's other books! Diana Cooke was �born with the century� and came of age just after World War I. The daughter of Virginia gentry, she knew early that her parents had only one asset, besides her famous beauty: their stately house, Saratoga, the largest in the commonwealth, which has hosted the cr�me of society and Hollywood royalty. Though they are land-rich, the Cookes do not have the means to sustain the estate. Without a wealthy husband, Diana will lose the mansion that has been the heart and soul of her family for five generations. The mysterious Captain Copperton is an outsider with no bloodline but plenty of cash. Seeing the ravishing nineteen-year-old Diana for the first time, he�s determined to have her. Diana knows that marrying him would make the Cookes solvent and ensure that Saratoga will always be theirs. Yet Copperton is cruel as well as vulgar; while she admires his money, she cannot abide him. Carrying the weight of Saratoga and generations of Cookes on her shoulders, she ultimately succumbs to duty, sacrificing everything, including love.